I flew to Sandakan using AirAsia plane for a wedding event on 29th December 2007. I choose to travel via airplane because with road i can get dizzy. Every time travel with airplane, I make sure that i get the window seat so i can take some interesting photos such as UFO and others. 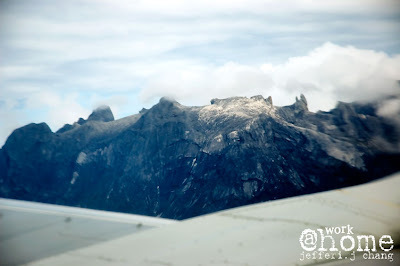 At this trip, I didn’t get any UFO photos but I managed to snap some photos of Kinabalu Mountain because the plane i took fly passed it. 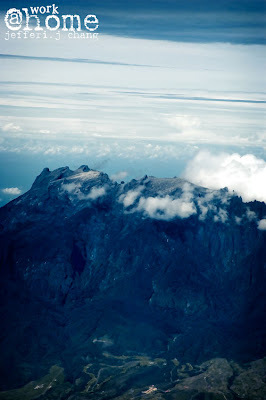 I didn’t know the plane will pass by the mountain if not for the pilot announcing it to us. Luckily, i had a camera standby and quickly i snap some photos. 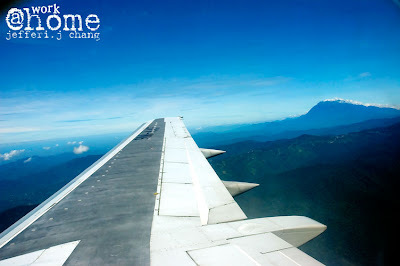 The photos above were taken during the flight from KK to Sandakan. Blue gradient tone enhanced with photo shop. 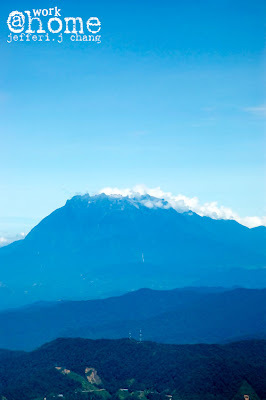 The mountain range blocked the cloud from approaching the west coast Sabah. That is why it called “Sabah, Negeri di Bawah Bayu”. This only applied for west coast Sabah. I filtered out the blue and gray color and leave the green color and red intact. 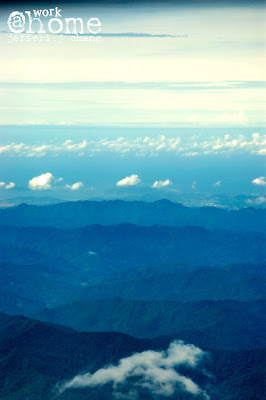 The photo of blue gradient tone mountain range. It is hard to take a clear shot of outside view then a big air plane wing cover most of the view. 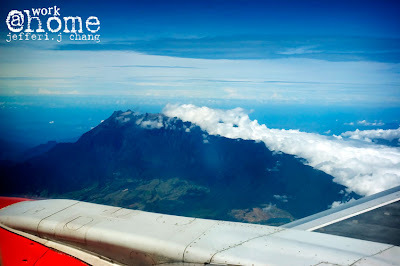 I found this photo look interesting as the composition of the wing and mountain fits nicely together. Mt KK always leaves me in awe of its magnificent view. Happy new year! wuah so brue!!! XD nice..
anyways, happy new year 2008!!! !